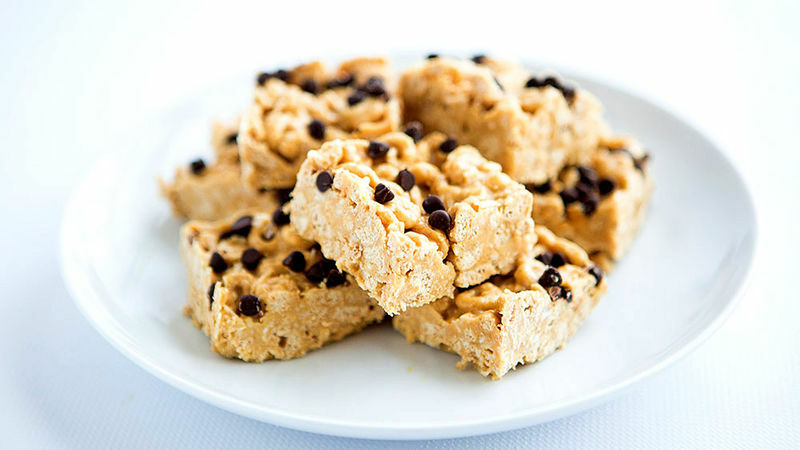 In a large bowl, stir together peanut butter, honey, coconut oil and protein powder until creamy. Stir in cereal and coconut until well mixed. Press into a nonstick 9 x 9” pan, sprinkle with chocolate chips. Refrigerate until firm. Slice into squares. For best results, store covered in the fridge.